Adventuring in Archos can be a very difficult and rewarding experience. Working together with other Adventurers to accomplish goals (regardless of server type) is a great feeling. However, sometimes Adventurers choose to take a less honorable route, and go against the nature of the game. 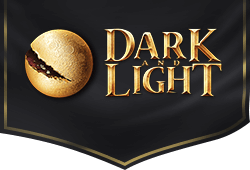 It is great that so many Adventurers are willing to help us make the game a great and safe place for each community member, and we would like to help make contacting Customer Support regarding this easier. Below is the information that we would like fellow Adventurers to include when reporting another possibly less honorable Adventurer. The follow information is required so that our investigation team can take the proper steps in providing the best support for the community. We hope this information is helpful for those trying to help make our community the best one that is can possibly be. We hope you all have a great day and good luck with your adventures! At Snail Games USA we take privacy seriously. We will not be able to disclose the details or results of investigations to anyone but the offending player.